What do the French, Russian and Iranian revolutions have in common? Among other things, they each involved world historical changes that came about due to the activities of small but highly organized, highly disciplined minorities of motivated individuals. One doesn’t need to pick such charged examples to see that strength of organization has much more impact than sheer numbers when it comes to political effectiveness. Campaigns against slavery, the Civil Rights movement, Women’s suffrage, even the creation of Israel all began with tiny cadres who used effective organization as a force multiplier. In the US, elements of an organized Jewish community (AIPAC, ADL, et al) are well known to the point of generating their own mythology (and even demonology). But the country also contains an organized anti-Israel community which, while numerically smaller than its Jewish counterpart, makes up for size through (1) organization; and (2) ties to the wider Arab, Muslim and broader anti-Israel world which dwarfs by an order of magnitude the global Jewish world in terms of numbers and resources. This story is typical of anti-Israel organizational life which is fraught with the sectarian divisions along political, ethnic and religious lines that characterize the Middle East itself. 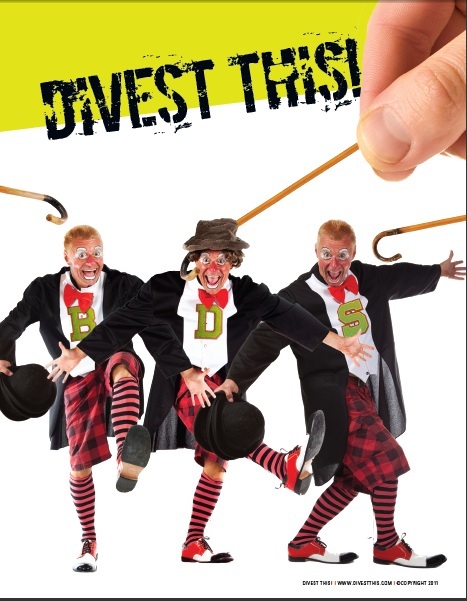 Also, the BDS movement’s experience with infiltrating other organizations to bring them on board the divestment bandwagon has a destructive impact when these infiltration skills are turned onto organized elements of the movement itself. Radical politics – whatever cause they embrace – tends to be unstable, characterized by loyalty tests, browbeating of the rank and file by the leadership and, frequently, purges. My hometown of Boston, where the same anti-Israel activists have organized under a half a dozen banners in the last twenty years, is typical of this dynamic. Jewish political life faces all the ups and downs of the opposite problem: too much, rather than too little, stability. Many brand-name Jewish activist groups are entering their second century and along with momentum, resources and name-recognition, such longevity creates bureaucratic inertia, blurred missions and networks of obligations (notably to partners and donors) that can limit organizational effectiveness. While newer entrepreneurial groups are emerging to focus on specific Israel-activism related missions, they too eventually become institutionalized and must divide their time between tending to their institutions (via fund raising, working with boards of directors, etc.) and connecting with the grass roots. One ironic advantage the BDSers institutional instability is that it provides them a perpetually new face to present to their audience. If the excesses of the PSM still leave a bad taste in some people’s mouths, no worries: it’s now the brand new SJP that’s taking the lead on campus divestment efforts. Turnover on college campuses already creates a dynamic of limited institutional memory, so once SJP falls apart (which it inevitably will) a new TLA will take its place, perpetually drawing students to an old idea that keeps being repackaged as new and fresh. Jewish organizational stability creates a different set of opportunities and challenges. The sheer number of such organizations gives many grassroots activists the feeling that “doing something” at universities or elsewhere is simply a matter of connecting the right Jewish institution to the right people on campus. While this can be successful, it creates a disconnect between those on the ground that understand the local scene and culture, and national (or even international) organizations that tend to get called for help only when a crisis (such as a divestment battle) comes to town. When pro-Israel activism has been most successful, it has been when strong, creative, local leadership takes the driver’s seat, reaching out to external resources when necessary. Ironically, it is when such local leadership is strong and stable that very little news is generated since anti-Israel activists (who follow Lenin’s maxim to “probe with bayonets”) tend to retreat when they encounter steel and advance only when they encounter mush.